DC is beginning to release preview pages from the upcoming VILLAINS MONTH. I spotted a couple pages from the Killer Frost one-shot due in stores on September 11. 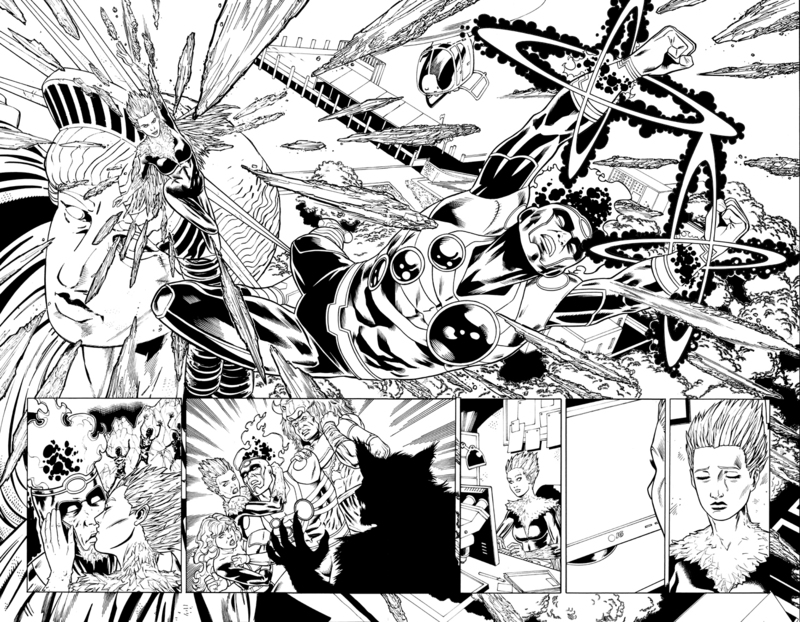 Here are the two pages by artist Derlis Santacruz! Click the page below to enlarge. Check out Newsarama for even further VILLAINS MONTH preview pages! Posted in: Justice League of America, Killer Frost. I wish she didn’t look so generic and unimaginative a villain. The preview looks to be a flashback sequence, I note the big double page spread has nods to certain Firestorm ‘classic’ moments such as the homage to the original series #3 cover in the bottom left hand corner – a nice touch! I agree with Dave Mullen about Killer Frost’s look. Personally, I like the old gown version better. DC, why fix what ain’t broken??!? But I’m at least glad that they’re giving Firestorm’s villains some attention during Villain month. She looks like Martin Shorts “Jack Frost” from The Santa Clause 3…..the design needs a more classic feel to it…but because this is the Nu52, we don’t like to go with what works….more along the lines of throw ideas against the wall and see what sticks.